This pass is used to reduce the size of instructions where applicable. This file defines the MIPS-specific support for the FastISel class. This file implements the targeting of the InstructionSelector class for Mips. 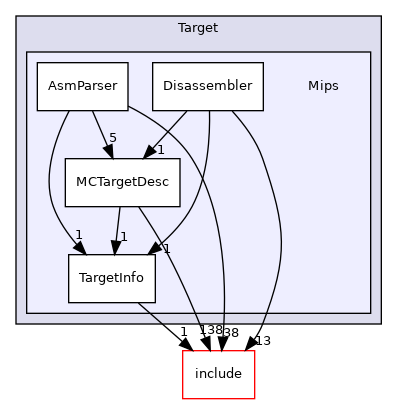 This file implements the targeting of the Machinelegalizer class for Mips. This file implements the targeting of the RegisterBankInfo class for Mips.